I’ve been working on this book for quite some time now. I started writing it in Slovenian language but suddenly decided to write it in English. At first, it was more to train my language skills, but somehow the book started to look better and better. At least to me and of course, I can’t help but be a little bias. The book became complex beyond my expectations, and I hope it will shock and entertain readers as much as I hope it will. I really try not to be conventional in my writing, but of course, it’s up to readers to decide whether I succeeded or not. 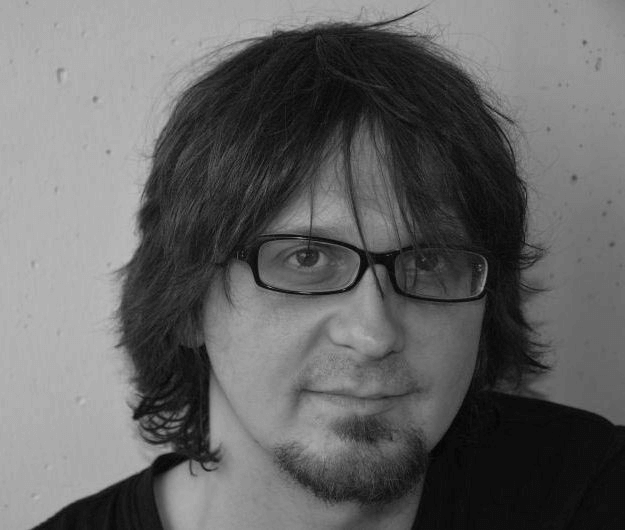 I would like to believe that I created a world that is magical and yet believable at the same time, with elements that haven’t been used before. 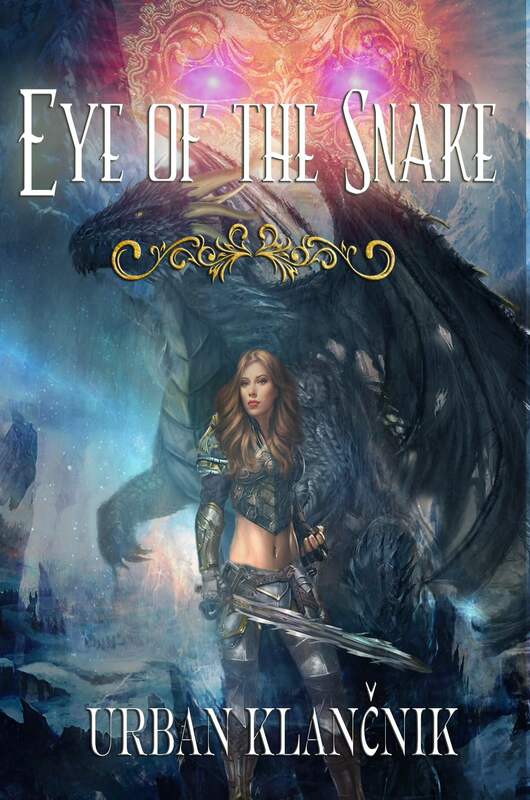 The Eye of a Snake is a tale about an ancient war between a dark god Aryon and the human race. Aryon’s monsters relentlessly attack the ten kingdoms, but for a long time, the humans managed to hold back the forces of evil. But what humans don’t know is that the dark god is only waiting until the time comes for his ‘son’ Taryon to be born. He will be the ultimate weapon against humans. Luckily there is hope, for the goddess of light named Talain will also have a champion of light to battle the dark prince and bring an end to the world. The Eye of a snake seems like a quite straightforward story at first. 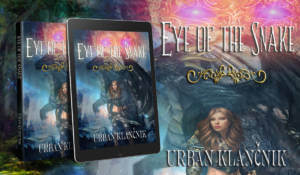 A battle against good and evil in a world ruled by magic, but the book soon takes strange turns. It mostly revolves around a girl named Anea, who is destined to become the Knight of light. 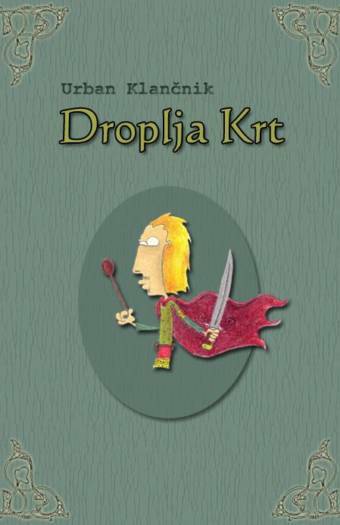 She is kidnapped by a group of wizards who believe she can destroy not only Taryon, but the dark god himself. But things aren’t as black and white as they seem at first. As Anea grows older and becomes a warrior, she is starting to learn who Aryon and Talain really are. Who the ancient gods that started the war were, and especially who humans are and that they are not beyond evil. She also learns about mysterious creatures from someplace called the Lightworld. 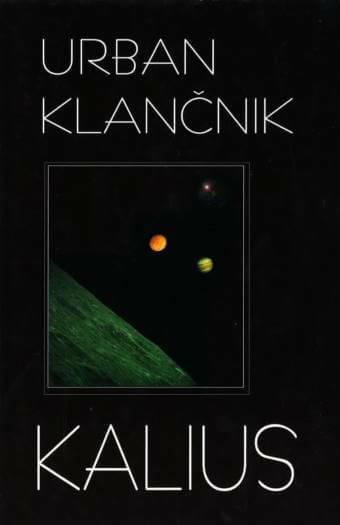 The book contains epic battles, secrets that sometimes mislead a reader, lead him down a false path and then pull him forcefully back to the truth. The book starts when a terrifying creature kidnaping a boy named Alex and his parents from the small village in the north of the continent. The only one that survived the attack of the beast was Alex’s sister Anea. Alex and his parents were taken to Aryon where the dark god kills the boy, and thus Taryon is born. In the meantime, a group called Wizards of the First Order kidnap Anea and start to train her as a White knight. They believe she is the one that can use the powers of an ancient weapon called the Eye of the Snake. Before her training is complete, Taryon attacks and conquers the ten kingdoms and starts another age of darkness and brutality. Only the wizards of the first order know that all of this has happened before. But this time something is different, and Anea could be the one to end the ancient war. But the outcome will surprise them all. In the book, the dark god called Aryon has on his disposal fifteen different types of creatures (monsters) that humans battle with. Humans, on the other hand, have warriors called Tar’sol. They are warriors controlled telepathically by women warriors called queens. Groups of tar’sol are, by accessing their inner power through their queens, capable of defeating much stronger opponents. Magic is explained by life energy and through energies of the world. 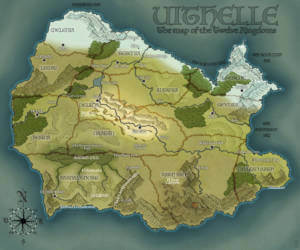 The world in which the story unveils is called Uithelle and is divided into eleven countries and a place called the Valey of the Dragons. The book one is already available on Amazon! Download PDF sample of the book!